The leader of at least one union local involved in a months-long contract dispute with Stop & Shop believes workers will likely have to walk off the job to secure fair pay and benefits from the Massachusetts-based supermarket chain. “It looks as though this year, you’re probably going to get the opportunity to go out and fight them,” said Jeff Bollen, president of the United Food and Commercial Workers Union Local 1445, in a video message to members released late last week. Bollen, who has taken a hard line in negotiations and helped push the Dedham, Massachusetts, union branch toward a strike authorization vote last month, said he doesn’t foresee an acceptable labor pact in the near future and reiterated claims that Stop & Shop wants to substantially increase employees’ out-of-pocket health care payments. UFCW Local 1445 was the first of five union locals involved in the ongoing talks to vote to sanction a strike. The other four chapters, representing Stop & Shop workers throughout Connecticut, Massachusetts, and Rhode Island, have since followed that lead, and while no employees have walked off the job yet, labor leaders can now call for a work stoppage at any time. 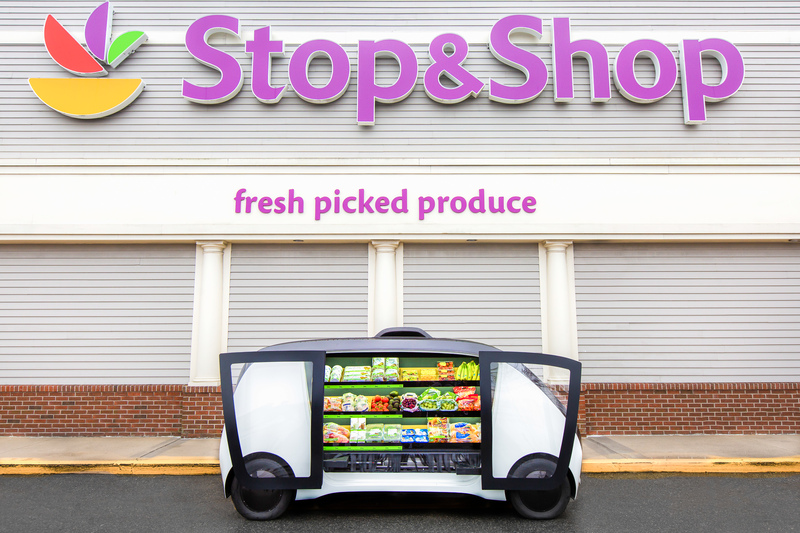 Contract discussions between Stop & Shop, a subsidiary of Dutch retailer Ahold Delhaize, and representatives of its more than 31,000 New England employees started in mid-January. A prior work agreement, in place since 2016, lapsed on Feb. 23 after the two sides were unable to find common ground on a number of issues, including time-and-a-half pay for all employees who clock in on Sundays. UFCW officials originally held out the possibility of a strike as an absolute last resort, citing the personal cost to the families of employees who depend on a Stop & Shop paycheck. In the last two weeks, however, the union’s stance has become more openly confrontational, and pro-strike messages now flood the union locals’ social media pages. On March 5, a Facebook account operated by UFCW Local 371 in Westport uploaded a video showing an industrial printer churning out protest signs. Another post, this time by UFCW Local 919 in Farmington, showed a union official presenting a pen and clipboard to “Marty,” the mobile robot now deployed in many Ahold Delhaize supermarkets to detect spills and scan inventory. “Hey Marty! Sign here to join the Union,” the picture’s caption reads, an apparent jab at the parent company’s move toward automation. Despite the building momentum in favor of a strike, Bollen acknowledged that Stop & Shop had recently given ground on some important issues, including health care costs, and asked workers for more time. Stop & Shop said it supports its unionized workforce and wants to reach a fair compromise with employees that preserves their longstanding benefits. But the supermarket chain has also warned that any deal must recognize changes in the industry and the expanding role of automated technology, such as robots and self-checkout machines, that boost the company’s competitive advantage.